A broad-spectrum soil-based probiotic that is dairy free and vegan. 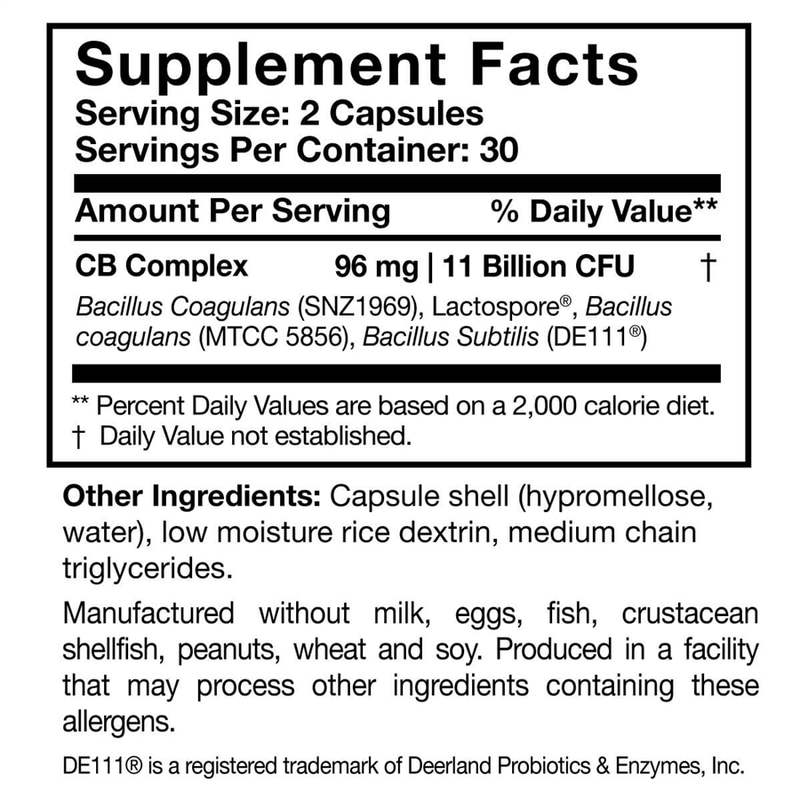 CoreBiotic Sensitive does not contain the prebiotic fiber found in regular CoreBiotic. Use as recommended by physicians or healthcare providers. Free of: Artificial flavors, preservatives, milk, eggs, fish, crustacean shell fish, tree nuts, wheat, soy and peanuts. I was having real issues in trying to keep yeast infections from returning as well just not getting over the hump of MSID (lyme + coInfec) and read Dr Ross newsletter recommending treatment. I ordered this with super expeditious shipping.Four days in symptoms started to disappear. 6th day awoke feeling like my â€œnormal â€œ self! Hadn’t seen this in three and half years. I am still on it not a full month and looking to get back to 90% if feeling better and yeast symptoms negligible. The energy in my legs which had been compromised returned. I appreciate Dr Ross wonderful informative videos and the ease of finding supplements. Then to receive them cross country so fast a Godsend. Highly recommend all of the products here as I have utilized many in my recovery.